Ted “Blyss” Gould is a professional musician from New Orleans now living in the San Francisco Bay Area. 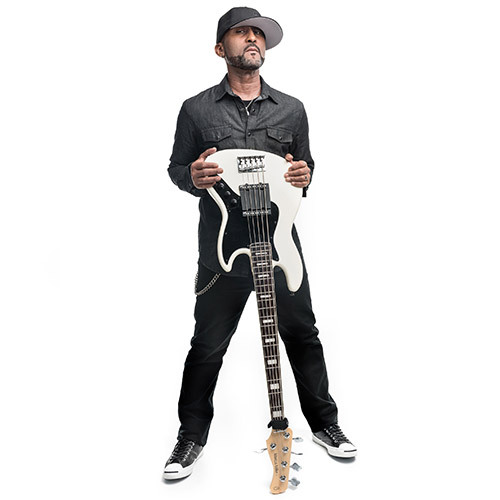 His credits as a bassist include working with Rock and Roll Hall of Fame nominee Zigaboo Modeliste (the Meters), American Idol finalist Latoya London, Jon B., Ron E. Back (Tower of Power) and R&B singer Will Russ Jr. In addition to being a top call bassist in pop genres, he has played upright and electric bass for host of Broadway-scale musical theater productions, including West Side Story, CATS, Dream Girls, Cabaret and Hairspray. Ted holds Bachelor of Arts in Music from California State University (East Bay) and has been a classroom music educator, private music tutor and consultant since 2010.